Meet mosquito researchers Olivia Winokur and Maribel “Mimi” Portilla. Both are seeking a doctorate at the University of California, Davis. 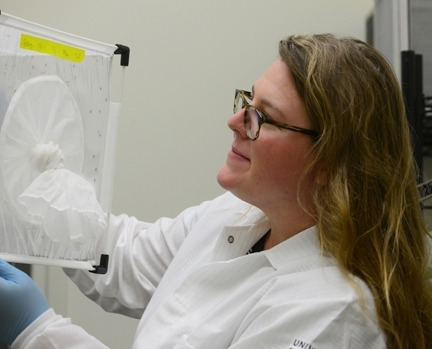 They differ in that Winokur focuses her research primarily on the yellow-fever mosquito, Aedes aegypti, while Portilla's research involves Culex mosquitoes, which transmit West Nile virus and other diseases. They are alike in that they share the passion of the late William Emery Hazeltine (1926-1994), who worked tirelessly in mosquito research and public health. Hazeltine, a native of San Jose, was a U.S. Navy veteran who studied entomology at UC Berkeley and received his doctorate in entomology from Purdue University in 1962. He managed the Butte County Mosquito Abatement District, Oroville, from 1966 to 1992, and the Lake County Mosquito Abatement District from 1961-1964. 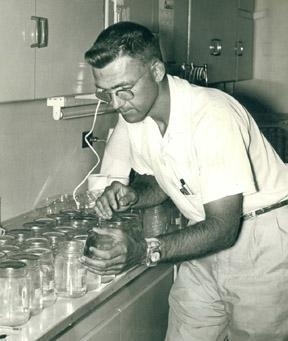 "Bill was a medical entomologist who had a varied career in the field of mosquito biology and control, but he will forever be remembered as a man who fought in the trenches of the pesticide controversy from 1960 until the end of his life, and who made the safe and efficient use of pesticides in public health a personal crusade," Eldridge said. In his memory, his three sons--Craig Hazeltine of Scottsdale, Ariz., Lee Hazeltine of Lincoln, formerly of Woodland, and the late Jeff Hazeltine (1958-2013)—established the UC Davis Bill Hazeltine Graduate Student Research Awards, awarding the first one in 1997. 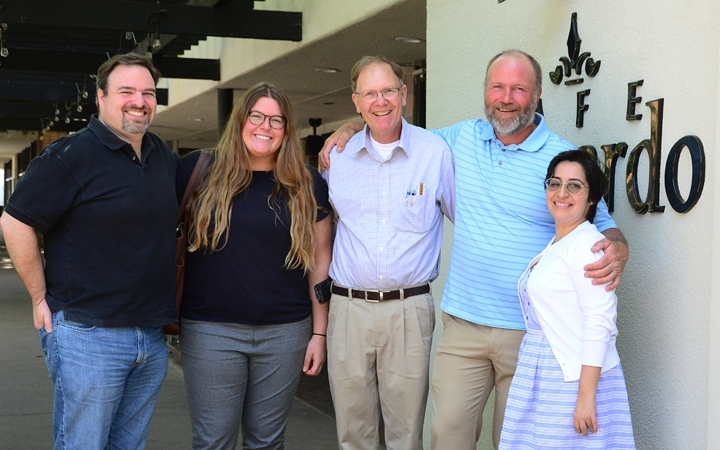 Each year they travel to Davis to honor the recipients at a luncheon, timed with their attendance at a scholarship and fellowship celebration, hosted by Dean Helene Dillard, UC Davis College of Agricultural and Environmental Science. Winokur, who studies with advisor Christopher Barker of the Department of Pathology, Microbiology and Immunology, School of Veterinary Medicine, received $2425, and Maribel “Mimi” Portilla, who studies with major professor Sharon Lawler, UC Davis Department of Entomology and Nematology, received $2032. William Hazeltine managed the Butte County Mosquito Abatement District, Oroville, from 1966 to 1992, and the Lake County Mosquito Abatement District from 1961-1964. 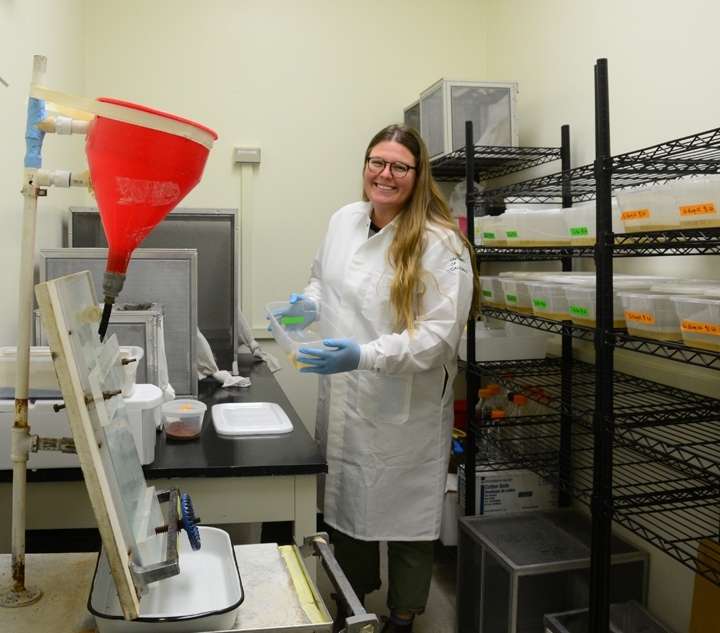 Winokur is testing “the use of hyperspectral imaging to differentiate between eggs collected from lab colonies of native and invasive Aedes mosquitoes in California. Preliminary data indicate this method shows promise for identifying species and warrants further testing. Once I have created species-specific reflectance profiles and validated my identification method using colony eggs, I will collect field eggs and validate the identification method using these field eggs.” She is working with hyperspectral imaging expert Christian Nansen, agricultural entomologist and assistant professor, UC Davis Department of Entomology and Nematology, on the project. 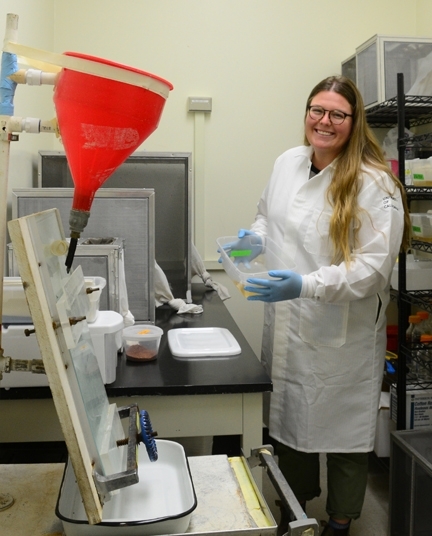 Winokur is using the 2017 Hazeltine funds to improve identification of invasive Aedes mosquito eggs in California and to attend the 2017 American Society of Tropical Medicine and Hygiene conference. 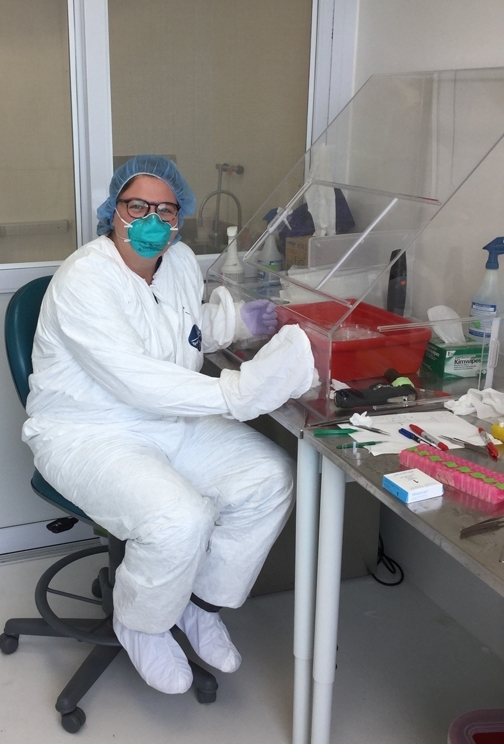 She is also the newly announced recipient of a 2018 Hazeltine Student Research Award for $3,094, this time to investigate Aedes aegypti immune response to Zika virus. A native of Long Beach, Calif., Olivia grew up in Laguna Niguel, Calif., where she focused on science at the Dana Hills High School Health and Medical Occupations Academy. She received her bachelor's degree in 2015 from Cornell University, majoring in Interdisciplinary Studies and focusing on the environmental effects on human health. 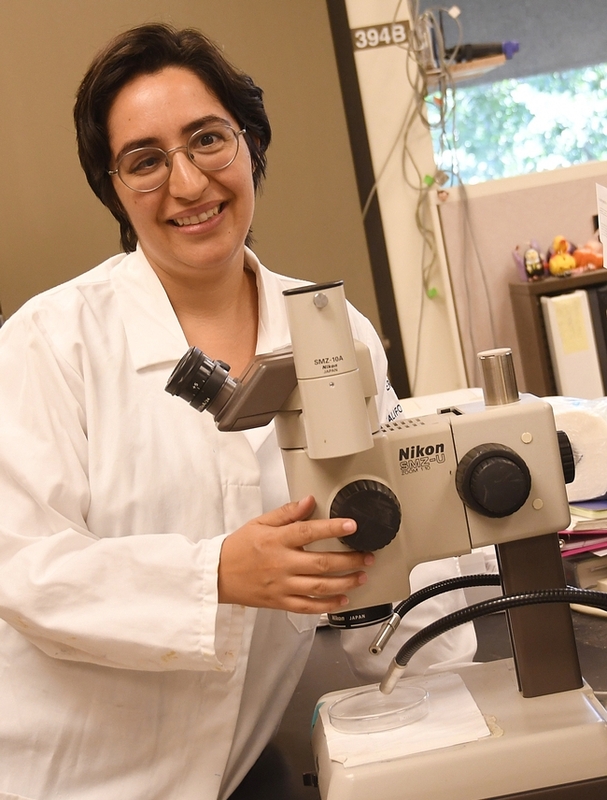 She enrolled in the UC Davis graduate program in 2016 as a Ph.D entomology student with a designated emphasis in the biology of vector-borne diseases. Earlier this year, Winokur received a three-year National Science Foundation Graduate Research Fellowship. Maribel Portilla, currently writing her dissertation, said the three chapters will encompass: the management practices of the invasive exotic weeds, Brazilian waterweed (Egeria densa) and water hyacinth (Eichhornia crassipes), in the Sacramento-San Joaquin Delta and how those practices impact mosquitoes and their habitat; herbicide use in managing those weeds and how herbicides affects the larval habitat; and the direct effects of herbicides on larval mosquito development. Her goal: “to inform and create better techniques to reduce both mosquito and weed problems." Portilla, who calls the South Bay home (San Martin, Santa Clara County), holds a master's degree in public health from UC Berkeley, where “I was able to study health and disease within a larger context, and learned to consider the biological and the social determinants of disease.” Her area of expertise incorporates her love for biology and her strong interest in social issues. “At UC Berkeley School of Public Health, I was able to study health and disease within a larger context, and learned to consider the biological and the social determinants of disease. As I completed my degree, I realized I really missed the research experiences I had as an undergraduate. So, I looked for a way to bridge my new-found passion for public health and basic science research. This led me to UC Davis, where I learned about One Health and am now pursuing a Ph.D in medical entomology. Medical entomology is a perfect example of a One Health field, where I can seek out how interactions between humans and animals impact health. I am particularly interested in researching how disease risk may change as people manipulate the environment." What are her career plans? “Due to my diverse interests and skill set, I am very open about my career choices. I have extensive teaching experience, and would love to be a professor with both teaching and research opportunities. However, there are many opportunities beyond academia. My research is introducing me to many other ways in which my work and research can help keep people safe and healthy. I hope to develop a strong research skill set while at UC Davis, and find a career path which takes advantage of my diverse abilities and love for One Health and Public Health." Portilla mentioned pursuing a career as a teacher in a small liberal arts school to teach public health, general biology and global diseases classes, as well as do outreach and research. “I'm more of a scientist than an entomologist,” she said. Portilla may also pursue a career working in vector-control health education at the county, district or state level. “I'm open at this point,” she said. Overall, she is geared toward improving public health outcomes through healthier environments. “I care about how outcomes affect the larger population,” she said. 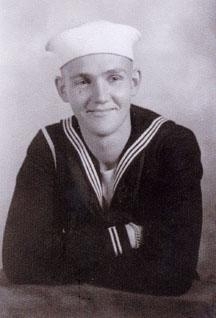 William Hazeltine in the U.S. Navy, 1944. “Bill Hazeltine was an advocate for the use of mosquito control to protect people from mosquitoes and the disease agents they transmit, and he believed chemical control to be a necessary part of the means to accomplish this,” wrote Eldridge, who valued his friendship. “He also considered himself an environmentalist, and billed himself as such on his business cards and on his signature block. He had a vast knowledge of pesticides and pesticide legislation, and a strong belief in the scientific basis for public policy issues related to the safe and effective use of pesticides. Because the federal Endangered Species Act influenced mosquito control, he became an authority on this as well." In fact, it was her childhood curiosity about a yellow fever vaccination that sparked her interest in mosquitoes. Winokur, who received her bachelor's degree in 2015 from Cornell University, majoring in Interdisciplinary Studies and focusing on the environmental effects on human health, enrolled in the UC Davis graduate program in 2016 as a Ph.D entomology student with a designated emphasis in the biology of vector-borne diseases. She studies with major professor and UC Davis alumnus Christopher Barker, associate professor and associate researcher in the Department of Pathology, Microbiology and Immunology, School of Veterinary Medicine, who doubles as a graduate student advisor in the UC Davis Department of Entomology and Nematology. Earlier this year, Winokur received a three-year National Science Foundation Graduate Research Fellowship. A 2017 Bill Hazeltine Memorial Award also helps fund her research. Born in Long Beach, Calif., Olivia grew up in Laguna Niguel, Calif., where she focused on science as a part of the Dana Hills High School Health and Medical Occupations Academy. Olivia also played basketball at Dana Hills and helped the team win its first league title. While at Cornell, she interned at the National Institutes of Health (NIH) in 2014, when advised by John Balbus of National Institute of Environmental Health Sciences (NIEHS), and Joshua Rosenthal, Fogarty International Center, where she coordinated and wrote an interagency proposal for climate change mitigation in middle and low-income countries under the United Nations. "I also helped develop a global clean cook stove implementation framework to advise NIH initiatives,” she said. Winokur is a co-author of “The Impact of Temperature and Body-Size on Flight Tone Variation in the Mosquito Vector Aedes aegypti (Diptera: Culicidae): Implications for Acoustic Lures," published in April 2017, in the Journal of Medical Entomology. Several other manuscripts are accepted or in preparation. She has given presentations at the Mosquito and Vector Control Association of California and the American Society of Tropical Medicine and Hygiene. “GOALS is for high school girls, inclusive of cis, trans, and gender nonbinary youth who identify with girlhood, to learn science hands-on while backpacking through the wilderness,” Winokur related. “I have worked with an incredible team of UC Davis affiliates to create GOALS to increase opportunities for high school students who identify with girlhood from backgrounds traditionally underrepresented in STEM. Our first trip is happening this summer!” This year's program takes place July 21 to Aug. 5. Winokur is also a part of the Letters to a Pre-Scientist program “so I get to be a pen-pal to an elementary school student to talk about science!” In addition, she serves as the treasurer of the UC Davis Entomology Graduate Student Association. The annual UC Davis Research Symposium on the Designated Emphasis in the Biology of Vector-Borne Diseases (DEBVPD) will take place from 3 to 8 p.m., Thursday, May 3 in the Putah Creek Lodge, and will feature two speakers and a graduate student poster session. Addressing the gathering will be Lark Coffey, member of the Department of Pathology, Microbiology and Immunology in the UC Davis School of Veterinary Medicine, and research director Stéphane Blanc of the program, Biology and Genetics of Plant-Pathogen Interactions at the Institut National de la Recherche Agronomique (INRA) in Montpellier, France. 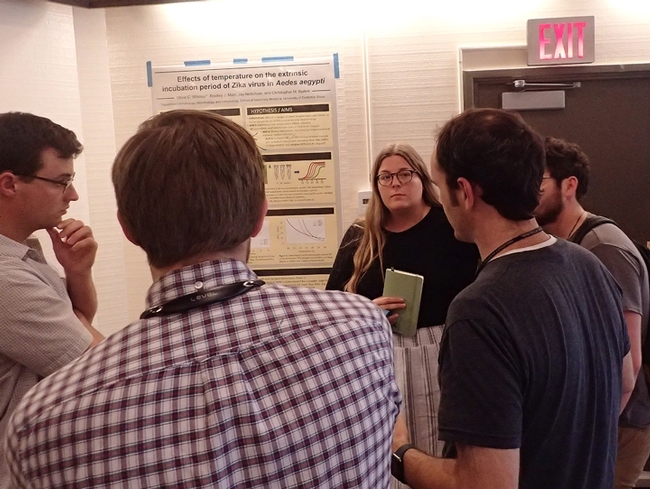 The graduate student poster session begins at 4:05 p.m., with Laura Backus, Nicholas Booster, Marisa Donnelly, Jessica Franco, Karen Holcomb, William Louie, Risa Pesapane, Benjamin Plourde, Maribel Portilla, Jennifer Reed, Kasen Riemersma, Pascale Stiles and Olivia Winokur presenting. 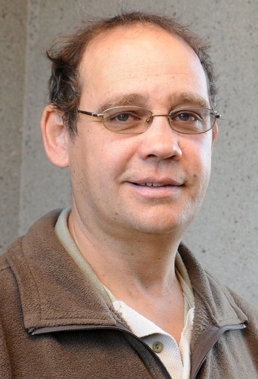 Blanc's address follows at 5:30 p.m. on "Current Research Trends in the Interaction between Plant Viruses and Insect Vectors." A dinner (space is limited and reservations are required) will follow at 6:15, announced Professor Sharon Lawler of the UC Davis Department of Entomology and Nematology and chair of DEBVBD. For more information on the symposium, contact Sharon Lawler at splawler@ucdavis.edu. For information on dinner reservations, access https://bit.ly/2HanMrt. DAVIS--Noted molecular neurobiologist Leslie Vosshall of the Rockefeller University, New York City, will speak on "Neurobiology of the World's Most Dangerous Animal"--the mosquito--at a seminar set for 4:10 p.m., Wednesday, May 24 in the Student Community Center, UC Davis. The Vosshall laboratory studies the molecular neurobiology of mosquitoes. Female mosquitoes require a blood meal to complete egg development, she explains. "In carrying out this innate behavior, mosquitoes spread dangerous infectious diseases such as malaria, dengue, Zika, Chikungunya and yellow fever." 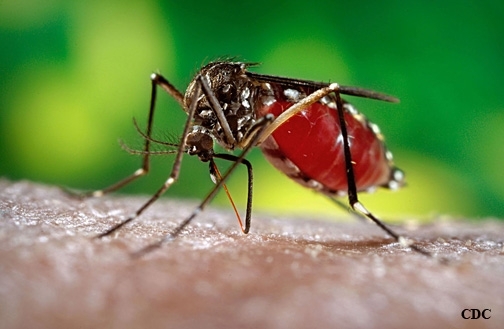 She further explains: "Humans attract mosquitoes via multiple sensory cues including emitted body odor, heat, and carbon dioxide in the breath. The mosquito perceives differences in these cues, both between and within species, to determine which animal or human to target for blood-feeding. We have developed CRISPR/Cas9 genome-editing in the Aedes aegypti mosquito with the goal of understand how sensory cues are integrated by the female mosquito to lead to host-seeking behavior." "Some of the questions we are currently addressing are: Why are some people more attractive to mosquitoes than others? How do insect repellents work? How are multiple sensory cues integrated in the mosquito brain to elicit innate behaviors? How do female mosquitoes select a suitable body of water to lay their eggs? The long-term goal of all of our work is to understand how behaviors emerge from the integration of sensory input with internal physiological states." The seminar, open to all interested persons, is sponsored by the College of Biological Sciences and the Storer Life Sciences Endowment. 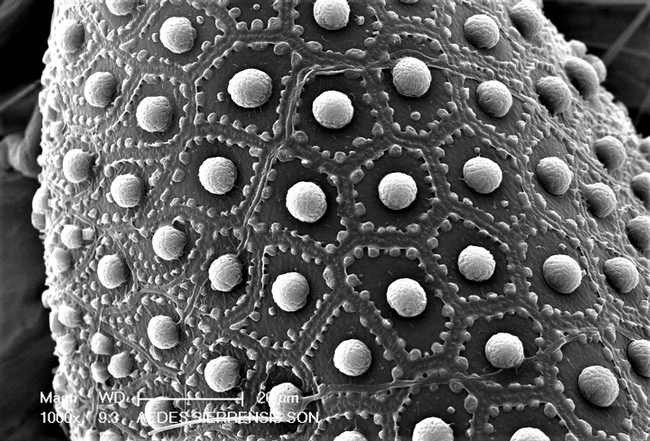 Host is molecular geneticist Joanna Chiu, assistant professor, UC Davis Department of Entomology and Nematology. At the Rockefeller University, Vosshall is the Robin Chemers Neustein Professor and head of the Laboratory of Neurogenetics and Behavior and director of the Kavli Neural Systems Institute. She is known for her work on the genetic basis of chemosensory behavior in both insects and humans. Her notable contributions to science include the discovery of insect odorant receptors, and the clarification of general principles regarding their function, expression and the connectivity of the sensory neurons that express them to primary processing centers in the brain. She founded the Rockefeller University Smell Study in 2004 with the goal of understanding the mechanisms by which odor stimuli are converted to olfatory percepts. Vosshall received her bachelor's degree in biochemistry from Columbia University, New York, in 1987 and her doctorate from Rockefeller University in 1993. Following postdoctoral work at Columbia University, she joined the Rockefeller faculty in 2000. 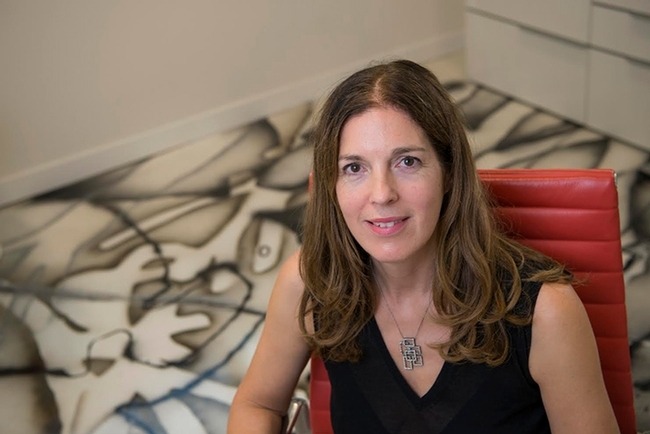 She is the recipient of the 2008 Lawrence C. Katz Prize from Duke University, the 2010 DART/NYU Biotechnology Award, and the 2011 Gill Young Investigator Award. She is an elected fellow of the American Association for the Advancement of Science and a member of the National Academy of Sciences. For more information on the seminar, contact host Joanna Chiu at jcchiu@ucdavis.edu. Molecular neurobiologist Leslie Vosshall of Rockefeller University. DAVIS--UC Davis medical entomologist Anthony Cornel, Ph.D. is targeting the potential spread of the Zika virus mosquito vector, Aedes aegypti, using a novel control strategy that renders the female mosquitoes sterile. Male Aedes aegypti mosquitoes infected with a bacterium, Wolbachia pipientis, are being released in Clovis, Fresno County, where this mosquito was discovered in June 2013. Although this mosquito is now found in California, there has been no locally transmitted case of the Zika virus in the state. The project, to determine dispersal and survival, began Monday, May 10. “The daytime-biting mosquito, which feeds predominantly on humans, has spread to at least seven counties since its discovery in Clovis,” said Cornel, a mosquito researcher and faculty member with the UC Davis Department of Entomology and Nematology and the UC Kearney Agricultural Research and Extension Center, Parlier. The collaborative effort involves Steve Mulligan, director of the Consolidated Mosquito Abatement District, based in Fresno County; Stephen Dobson of the University of Kentucky; MosquitoMate Inc, (mosquitomate.com); and UC Davis. 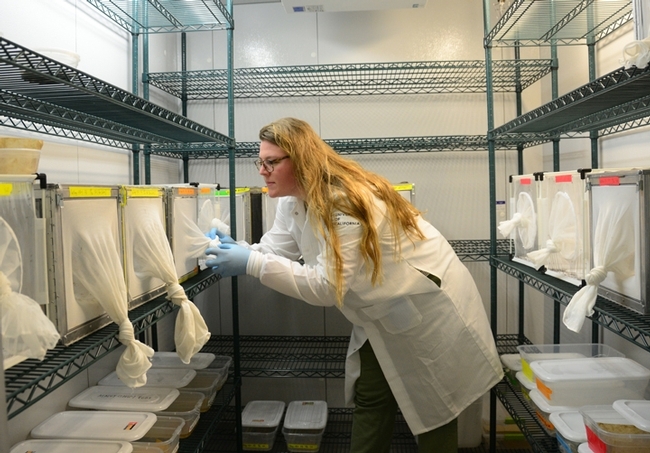 The researchers will evaluate the population suppressive ability of the novel sterile insect technique, which is part of a comprehensive vector management approach. Only Aedes aegypti is targeted. “When the Wolbachia-infected male mosquito mates with non-infected females, the result is “cytoplasmic incompatibility, which causes the female to lay infertile eggs that will not hatch,” Cornel explained. 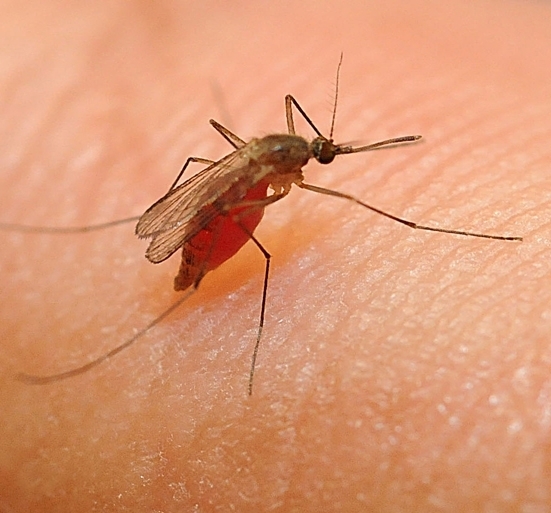 Although residents will notice increased numbers of male mosquitoes, male mosquitoes do not bite and cannot transmit disease. Both U.S,federal and State regulatory agencies have approved the technique for evaluation of effectiveness. “This sterile insect technique was evaluated in 2015 in Los Angeles to suppress another invasive mosquito, Aedes albopictus,” Cornel said, adding that the results from that trial look promising. The Zika virus, now spreading throughout the Western hemisphere, was first identified in Uganda in 1947 in rhesus monkeys, according to the World Health Organization. It was subsequently identified in humans in 1952 in Uganda and the United Republic of Tanzania. Outbreaks of Zika virus disease have been recorded in Africa, the Americas, Asia and the Pacific. 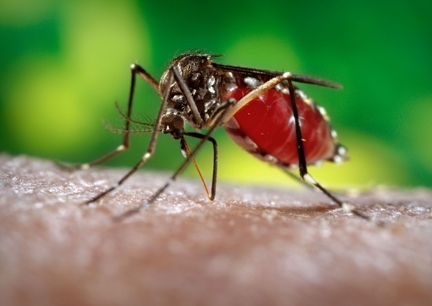 Despite the mosquito's invasion into new areas of the United States, there are no reported cases of locally transmitted Zika virus in California or in the contiguous United States, according to the Centers for Disease Control and Prevention. The cases have all involved travelers returning home from countries plagued with disease outbreaks. It's troubling that the mosquito is becoming more and more resistant to pesticides, said Cornel, who collects, rears and researches mosquitoes from all over the world, including the United States, Mali, Cameroon, Comoros, Tanzania, South Africa and Brazil.